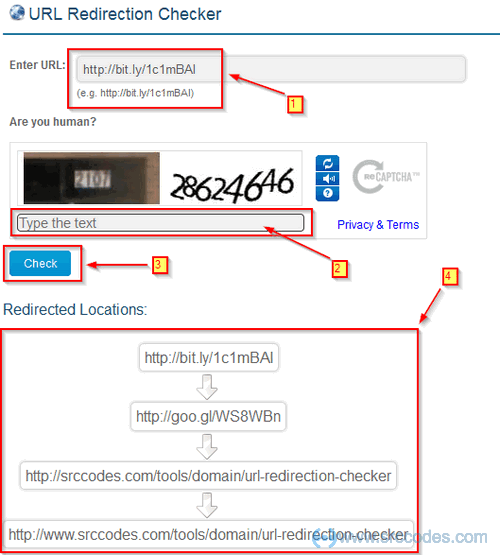 Many websites use URL redirection technique to forward the original request from one location to another several times for different reasons (Domain forwarding, URL shortening, Privacy protection, Maintaining similar domain names referring single website, etc.). In this post, I'll try to demonstrate how to get all the redirections of a URL using Apache HttpComponents HttpClient. A live demo will be a bonus here. Create an HttpGet instance using the link, redirections will be fetched for. Execute the HttpGet request using the http client by passing the local instance of HttpClientContext. On successful execution of the request, use the context object to get all the redirection locations. Close the response - CloseableHttpResponse to release resources. * Utility class to get all redirection locations of a URL. Several websites responded with 500 status code when presented with the default User-Agent header. One website sent a 200 status code but the html content of the page was truncated with "500 server error" For maximum compatibility, use a standard web browser user-agent string. Very few websites support anything other than base Netscape cookies. For testing purpose, I have shortened http://srccodes.com/tools/domain/url-redirection-checker using Google URL Shortener followed by bit.ly shortening service. Naked domain forwarding (http://srccodes.com --> http://www.srccodes.com) is enabled in this site. As a result, we'll get three consecutive redirections of the url http://bit.ly/1c1mBAI. For live demo try URL Redirection Checker Tool.